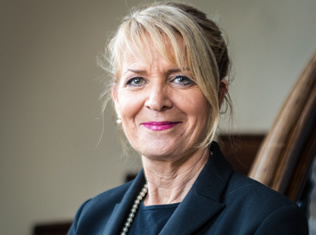 Pat Edmondson joined DCU Educational Trust in August 2016. Her role as Associate Director focuses on the development, cultivation and stewarding of a portfolio of both individual and corporate relationships. Pat works closely with the Director of Development, the Development Team and the University staff and students to further the mission and objectives of Dublin City University. Before joining the Trust, Pat headed up corporate fundraising in Young Social Innovators. She has over 20 years’ experience in sales and business development across a number of sectors including medical devices, biomed, engineering, renewable energy and hospitality sectors. She is also a non-executive director of the Dublin Well Woman Centre. Pat holds an Honours BA in Molecular Genetics and an MSc in Manufacturing Engineering, both from Trinity College Dublin.